Have I found an amazing game (or two) to share with you today. 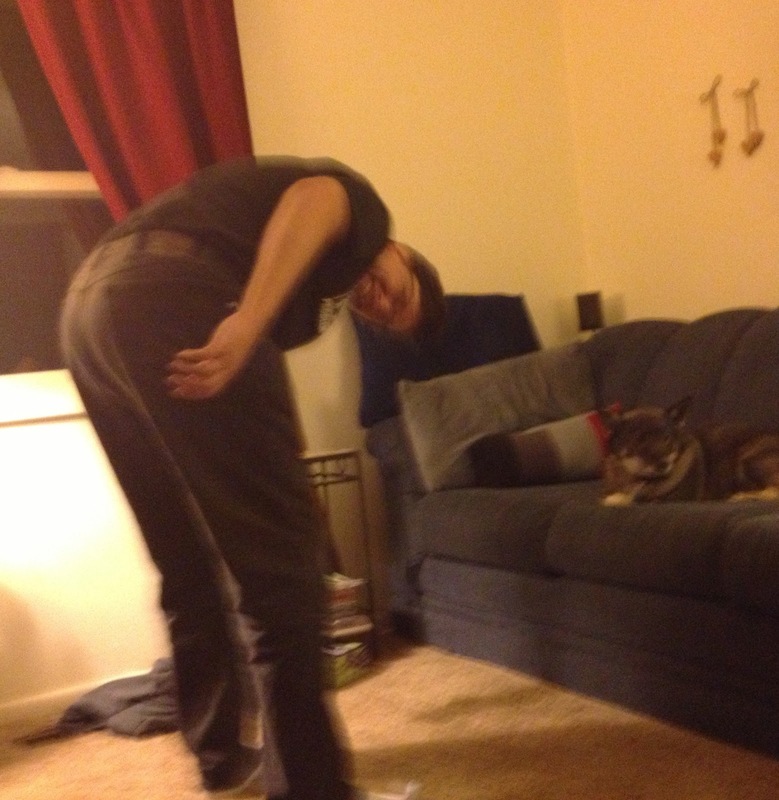 I had the honor of testing out the game of Reverse Charades. Since my children range in ages from 6-15, I had asked if I was better suited for Reverse Charades or for Reverse Charades Junior Edition. (It's the 6 year old who throws off the suggested age.) 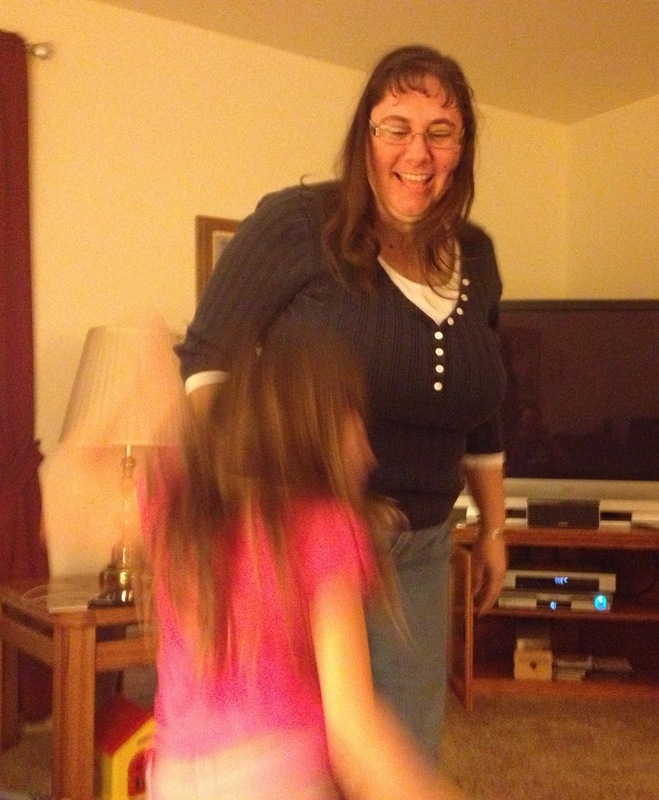 I was so surprised at how well she did with the standard Reverse Charades game. 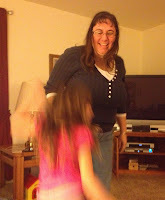 The Junior Edition was definitely easier for her to play, but she could hold her own on the standard version. We haven't had this much fun in ages. After a few rounds of teams, we ended up splitting into whoever wanted to act and whoever wanted to guess. We stopped keeping score and just played for the sheer fun of the game. We were laughing until we were crying. This is going to quickly become the standard party game at our family and friend gatherings. Split into teams and use the included timer to see how many words the guesser can guess in one minute. Each correct word is a point. Play until one team wins. 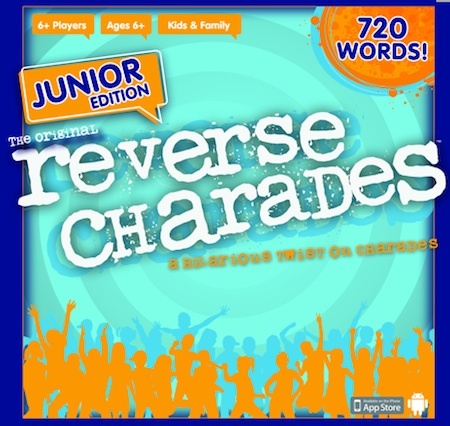 Featured on NBC’s Today Show and Radio Disney, Reverse Charades takes the classic (and boring) charades game and gives it a hilarious twist that makes it an absolute riot to play with any active group. It's a fast-paced, fiercely-fun competition where teams have 60 seconds to act out (without speaking) as many words as one person can guess. 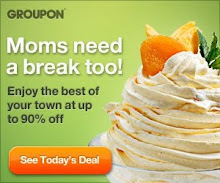 Words like: synchronized swimming, piñata, paparazzi, dogpile, leapfrog, pillow fight or CPR. With 720 words in each edition, they're must-have gifts if your readers are looking for a fresh, new and affordable idea to create memories and brighten the holidays—and every day—with hours of laughter and interactive fun for everyone! Check out the game in action at www.youtube.com/sedarahc. And just in time for the holidays, there are THREE NEW expansion packs. Girl's Night In Edition--women-themed words like mani-pedi, blind date, Charlie's Angels, shaving legs, aerobics and soccer mom. (A portion of the sales of this edition goes to support breast cancer research). Sports Edition--with athletic themed words like grand slam, fumble, Olympic torch, 7th inning stretch, synchronized swimming, kickboxing and tag team wrestling. Holiday Edition--with holiday themed words like Frosty the Snowman, mistletoe, snowball fight, sleigh ride, pinata and 10 Lords a-leaping. 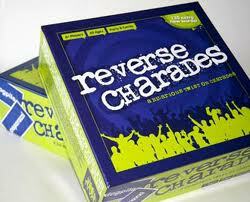 Would your family like a chance to try out Reverse Charades or Reverse Charades Junior? Enter for your chance to win your choice of games below. Disclosure: I was provided a copy of Reverse Charades and Reverse Charades Junior Edition for this review. No monetary compensation was given and all thoughts are my own. I'd love the Reverse Junior game! This sounds like so much fun. I'd love to try the original one! Reverse charades. My friends and I would have SO much fun with this! Reverse Charades :) We would enjoy this one! Would definitely choose Reverse Charades! I would go with the reverse charades. I'd like the Reverse Junior game. I would prefer the Junior edition, since my kiddos are young. Sounds like fun! I hope I win!!!! I would like the Reverse Charades. I'd like the regular version! We'd prefer the junior addition. Thank you! I would love the reverse Charades! My teen son and his friends are always looking for something to do on cold nights! Reverse Charades, thanks for the chance. I would prefer "Reverse Charades." Thanks for the giveaway! kristiedonelson(at)gmail(dot)com Thank you. 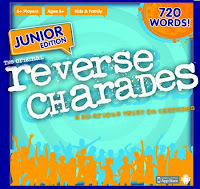 I would love to win Reverse Charades Junior Edition. Reverse Charades! I'd be giving it to my adult daughter! The original one! This sounds like a blast!! 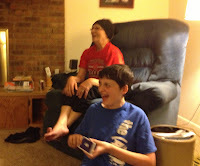 I would like the regular reverse charades game! Thanks for the chance!!!!!!!!!! We'd like the Reverse Charades!